Nigeria’s Under-23 team head coach, Samson Siasia has admitted that his side were wasteful against Congo in Sunday’s game at the Adokiye Amiesimaka Stasium in Port Harcourt. The Dream Team V1 managed a 2-1 win against their Central African opponents in the 2016 Olympic qualifying clash. “We missed lot of chances in the 2-1 victory against the Congolese Under-23 opposite. “We could have scored more than four unreplied goals in the encounter to actually make the reverse fixture a bit easier. “However, I strongly believe the boys played very well, we will certainly work on the mistakes especially the finishing before the second leg clash in Brazzaville. 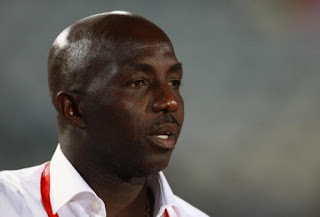 “I have quality players that can survive the onslaught in the reverse fixture in Congo,” Siasia told supersport.com.